For advancement in human genetics and genomics. Everyone is related to each other. 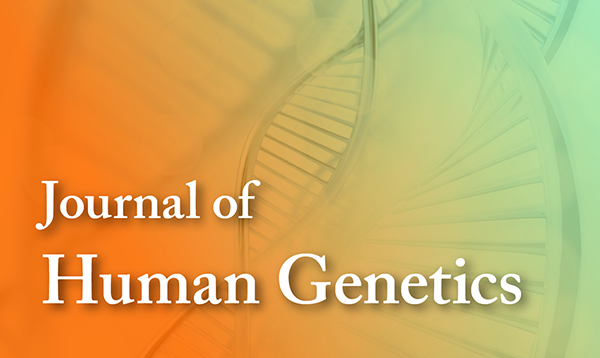 The Journal of Human Genetics is the official journal of the Japan Society of Human Genetics, publishing high-quality original research articles, short communications, reviews, correspondences and editorials on all aspects of human genetics and genomics. 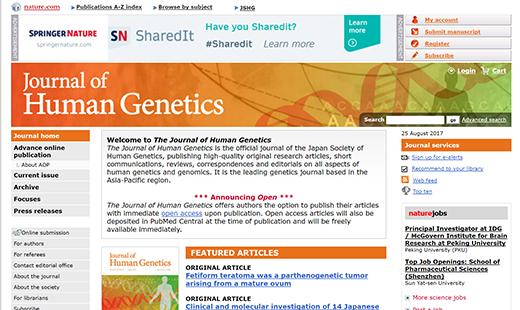 It is the leading genetics journal based in the Asia-Pacific region. 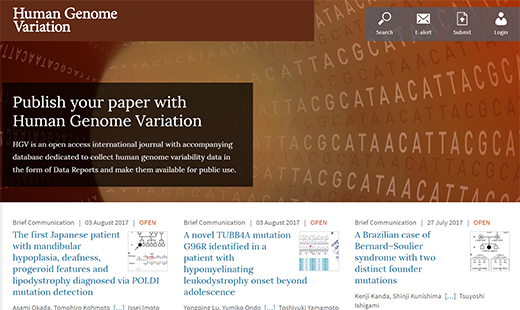 Human Genome Variation (HGV) is an online, open access journal that contains articles and reports about variation and variability in the human genome. In addition to usual Articles and Reviews, the journal publishes concise, but fully descriptive "Data Reports" which describe disease-causing variation of human genome and/ or their frequencies.